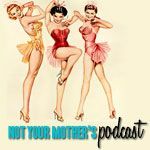 Then her ex-brother-in-law arrives with a duplicitous journalist and a self-doubting parapsychologist, closely followed by an annoyed medium, Andie’s tarot card–reading mother, her avenging ex-mother-in-law, and her jealous fiancé. Just when Andie’s sure things couldn’t get more complicated, North arrives to make her wonder if maybe this time things could just turn out differently…. 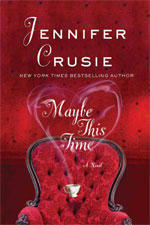 This book reminded me why I love Jennifer Crusie!! What a great story, it made me laugh right out loud and it made my chest ache at times! If you love a fun book with a everything from ghosts, a creepy mansion, a crazy medium, kids that need love and a HEA of a love lost that was found again!! I love the fast paced, witty dialog that JC brings to her books and this one is no exception. I loved Andie from the beginning but you grow to love the rest of these characters, they are amazing. I am rambling, but I just can't say enough about Crusie's ability to tell a phenomenal story!! LOVED IT! I listened to this a long time ago, what a great novel! I totally agree with your review, this reminds you of what a fantastic author Jennifer Crusie Is.